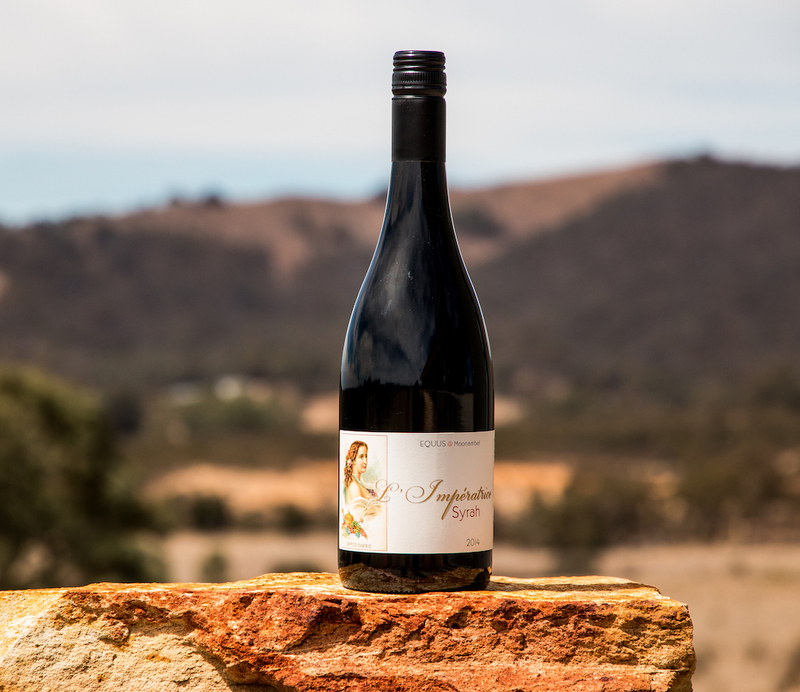 The 2014 L’Impératrice (the Empress) is a Syrah blend consisting of 80% Shiraz and 20% Cabernet. Drinking beautifully now, will continue to develop over the next decade. The label pictures Empress Eugenie, married to Napoleon III. Her grandfather was William Kirkpatrick. William was a wine negotiant and vigneron in Malaga, Spain. This family relationship to the owners of Equus @ Moonambel inspired our premium range of Syrah.